In 2016, Huib van Bockel decided to embark on an international mission to find the most naturally energising ingredients, which he could combine to make a healthy drink like no other. 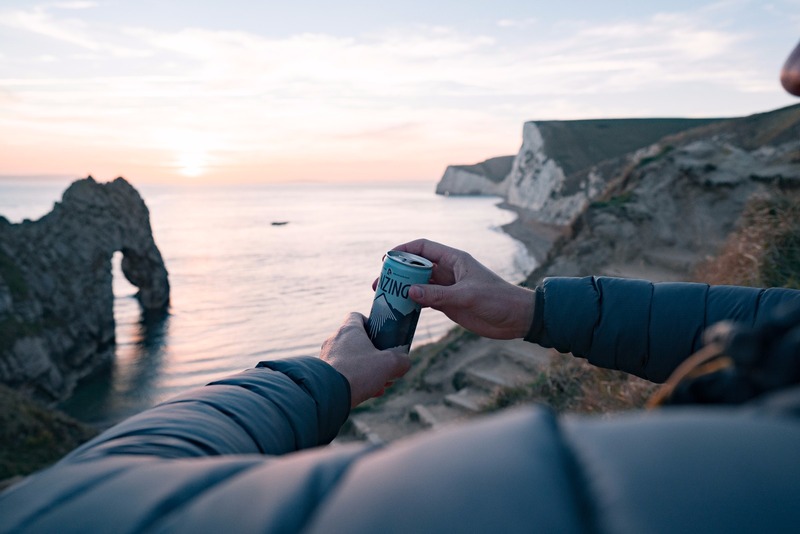 A former Marketing Director for Red Bull, armed with a deep understanding of the market, he envisaged creating a challenger brand that would reimagine the traditional energy drink and stand as a conscious competitor to its sugar-laden alternatives. In search of inspiration, the entrepreneur headed to Asia on a voyage of discovery, where he soon came across the uplifting brews of the Himalayan Sherpas — the first, a very strong leaf blend infused with salt, and the second, a lemon drink. These simple recipes used by the sherpas — perhaps the toughest and most resilient people on the planet — as a means of energy and hydration, stayed on his mind, eventually becoming the basis of his brand: Tenzing. 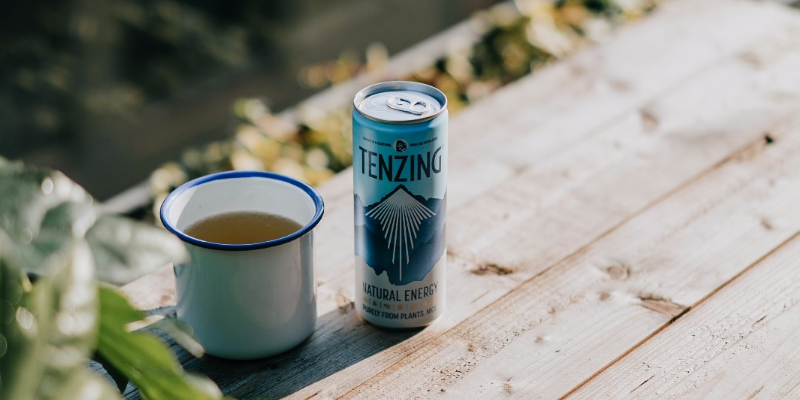 Three years on, the all natural, plant-based drink is the fastest growing within the energy drinks category, according to Nielsen, and can be found in stockists across the globe, from the little shops en route to Everest Basecamp all the way to Sainsbury’s, Boots and M&S in the UK. With plans to expand across Europe and enter the Canadian market within the next 12 months, van Bockel is committed to pushing the importance of a fully natural and plant-based drink, free from additives. A forthcoming investment round will help to kickstart this next stage of growth and propel the brand into further markets. Here van Bockel talks to Welltodo about finding inspiration, navigating the future market, and how he’s battling the big dogs to change the narrative surrounding energy drinks………. On reimagining the ‘energy drink’ and challenging the status quo………. Following my travels, I consulted with a nutritional doctor who I was working with, as to whether the teas I had found were purely of cultural significance or if they actually had an impact on performance and cognitive function. He confirmed that they contain an effective combination of natural caffeine, hydrating electrolytes, and Vitamin C. It was at this point that I reimagined the ‘energy drink’, and wanted to create a recipe that was not filled with the ‘traditional’ concoction of synthetic caffeine, artificial taurine and filled to the brim with sugar. We have seven ingredients; Indian Gooseberries, Green Tea, Green Coffee, Guarana, Lemon, Sugar Beets and Himalayan Rock Salt. But, we are constantly looking for how we can improve our recipe and source our ingredients in the most sustainable way. This year we were proud to achieve a Rainforest Alliance Certification for our Green Tea. This was such an important moment for us on our Tenzing journey as The Rainforest Alliance work closely with farms to make sure high standards of environmental, social, and economic sustainability are met. Our next quest is to be the first refreshing caffeine drink to use coffee from Rainforest Alliance Certified farms… watch this space! The Himalayan Sherpa recipe I’d come across eventually became the foundation for my own drink, and the local people themselves the real inspiration behind the brand. I wanted to name the drink after one of the first men to summit Mount Everest: Sherpa Tenzing Norgay. I’d always thought of him as incredibly inspiring, so it’s been a real honour to name my brand after him. I wanted to make sure I got the Tenzing Family’s approval before launching the brand, so I had the privilege of taking my wife and children to meet the entire Tenzing family to ask their blessing. Together with Jamling (Tenzing’s son) we hiked the first part of Everest together. It was a wonderful opportunity to get to know Jamling, drink lots of sherpa tea, and talk about his father’s approach to life, love of nature, and above all, hunger for adventure. His ethos now drives our own values as a brand, and acts as a guide for us as a team too. On building an open and honest team………. My job at Red Bull taught me some valuable lessons in business and in life, but also taught me what I didn’t want from my brand, primarily as little hierarchy as possible, as well as open, encouraging, and honest interpersonal relationships. I’ve really made sure this resonates with each and every team member – we all see each other as equals who play a vital role in building Tenzing. I don’t think I realised the dedication that would emerge from working in a really tight, close-knit team and I wouldn’t give that up for anything. On the highs and lows of building a brand from the ground up……….. Starting my own business was, on the one hand, thrilling – I had the freedom to make my own decisions and even my own mistakes with no one telling me what to do and only myself to let down. On the other hand, it was a real mental battle, especially when you realise you no longer have the backing of a big brand and the accompanying budget; essentially nobody wants to meet you anymore. I really had to build myself and the brand from the ground up despite having had years in the business. But, it’s this journey that is so terribly exciting (and painful) especially when you realise everything is down to you and a small, growing team to build the brand you really believe in. Everybody who aims high will inevitably feel low (at times). On convincing retailers like M&S and Sainsbury’s to believe in the brand……….. It took blood, sweat and tears! There were very few retailers that wanted to listen to us in the beginning, but we knew that people were done with artificial ingredients and loads of sugar. They were ready for low-sugar energy, purely made from plants. But it was initially a real struggle to explain to people that it is possible to create healthy energy, as for years energy has been married to unhealthiness. We are now working with a great list of partners that believe the future of energy is a healthy one. When I casually name drop: M&S, Sainsbury’s, Tesco, WholeFoods, EAT & Wasabi, it always hits me how far we have come. When it came to restaurant offerings, Wasabi and EAT have been game changers for us. But not only high-street restaurant chains, but restaurants within offices too such as HSBC and Sky. It’s great to have such a diverse spread of locations that we can offer people the opportunity to try Tenzing. We aren’t an energy drink. We can’t emphasise that enough. We go beyond the traditional offerings in the market by providing a natural alternative, made purely from plants, yet gives you the same kick without the artificial ingredients or sugar crash. We give people an option to energise themselves in a healthy way, whilst also offering them a brand that really cares about personal and environmental wellbeing. On battling the big dogs with honest marketing……….. I decided early on that simply talking about our product and the benefits it provides was going to be our strongest strategy. 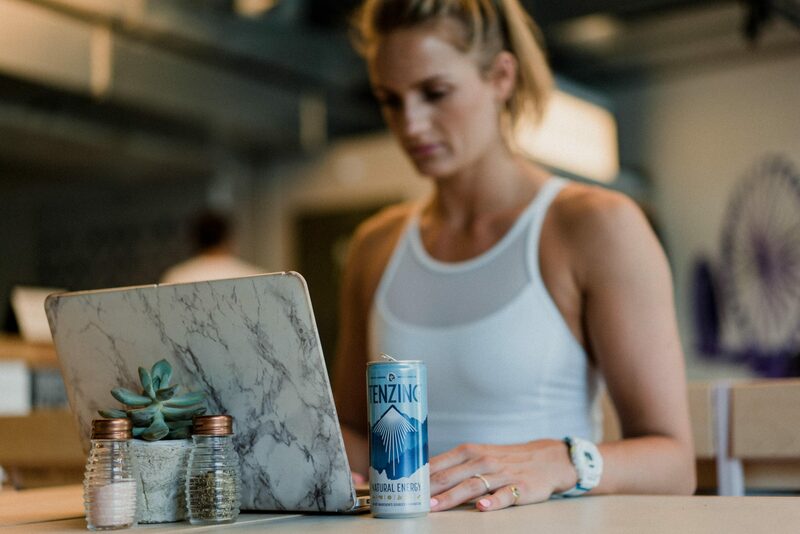 What better way to build your brand than to promote the fact that it’s a healthy alternative, made purely from plants, with low sugar content and not at the expense of filling the drink with chemicals and sweeteners. I know that we can’t match the budgets nor the spending power of the big dogs in the industry, but, what we do have is the product. Our blend is unique and the ingredients help to provide consumers with healthy, sustainable energy — that’s the message we’ve been concentrating on up until this point and will continue to do so. Initially, Tenzing was totally self-funded. I’d written a book called The Social Brand (on the importance of doing good as a brand) and took on a lot of speaking gigs to fund the business – it was a case of managing things week-to-week. Launching Tenzing also meant that I had to relocate to a smaller house and cut out all unnecessary spending. I also worked out of hotels and coffee shops and exploited perhaps every available free Wi-Fi spot in London until July this year – 2 and a half years into the business! This really reduced costs and encouraged the team and me to get out and about, talking to retailers and buyers about Tenzing. We’ve now reached a stage where we are looking into external investment for the very first time. We are expanding across Europe next year as well as Canada, which will be a major focus for us at the beginning of 2019. Next year is just the start of our international mission to change the way people energise themselves and we can’t wait! It’s not always easy to cut through the white noise of marketing spiel. Many companies give out a host of messages that can be confusing to people. Specifically, for us, the term ‘natural’ is becoming more and more convoluted, with brands broadcasting their ‘natural flavourings’, while the rest of the drink is packed with say, artificial sweeteners. It devalues the tag of natural somewhat, so we’re really focusing on pushing the importance of a fully natural and plant-based drink, free from additives. Huib van Bockel will be joining the Welltodo Founder Series on 4th February to share his industry insights, business strategies and advice from challenges he’s faced along the way.